"We know our cows by the first names of their farmers"
I'd already decided to make a lasagna. 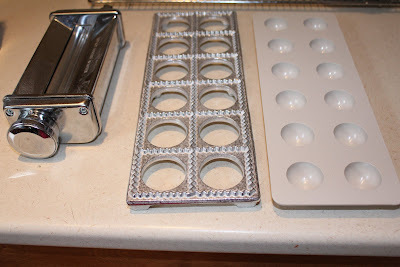 When I got home and got everything out though, I discovered a long-lost and NEVER USED ravioli press. As such, I switched gears immediately and tried it out. The learning curve was about a 2 out of 5 so I'd highly recommend it! 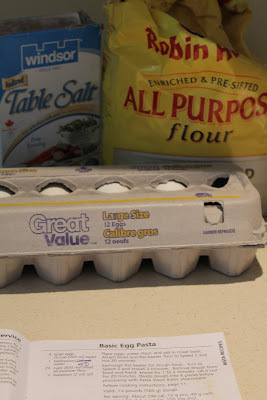 Probably the most basic ingredients ever. 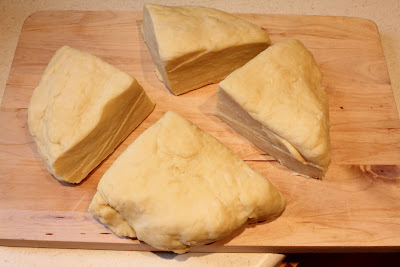 Mix together, knead for 3 - minutes, let rest 20 minutes and then divide into 4 pieces. Filling. 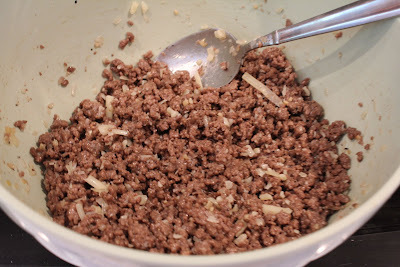 Ground beef, mozzarella cheese, eggs, garlic, salt & pepper. Tools for rolling out the dough. 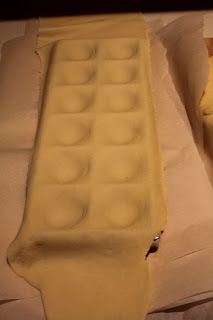 My kitchen aid pasta roller (courtesy of the Ya-Yas, *holla*) and a ravioli press. Lay the pasta over the press, use the indent maker to...well...make the indents. 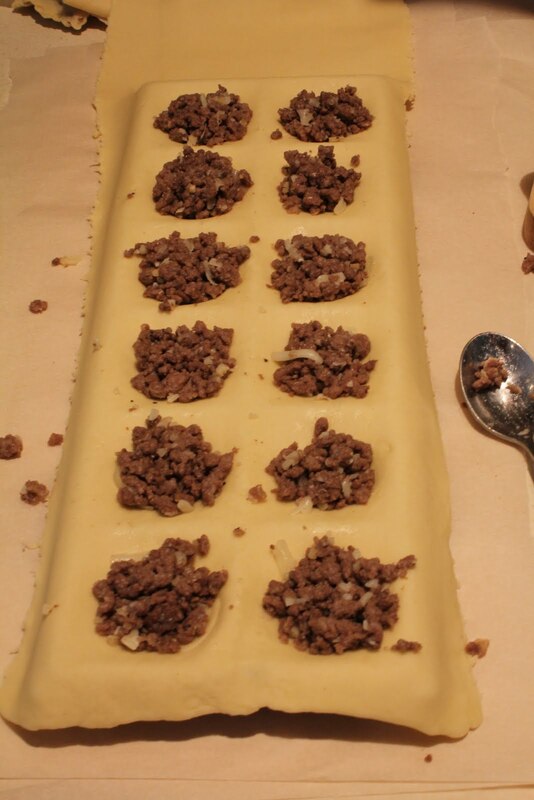 Put another layer of pasta overtop and roll over with a rolling pin. 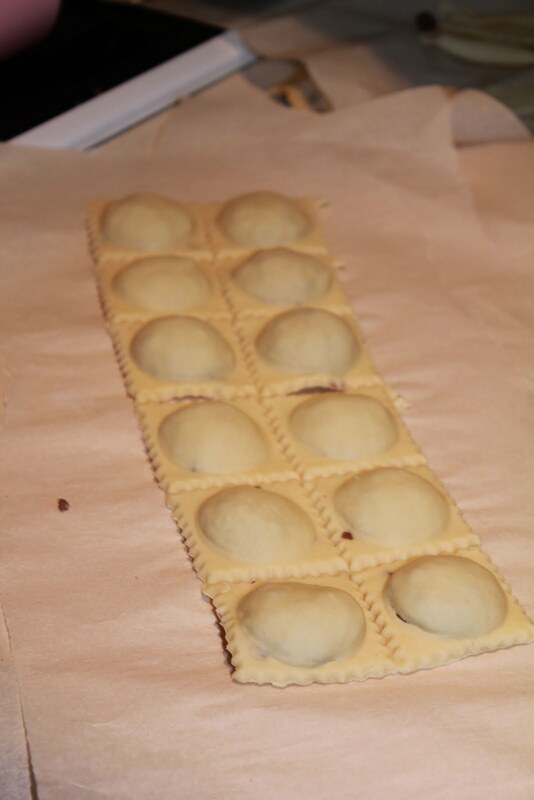 Then pull out the raviolis. 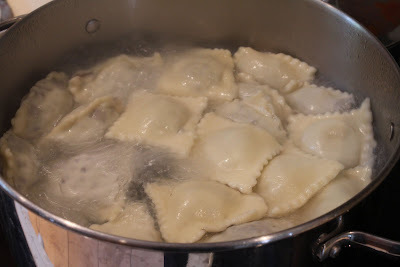 Dry for 2 hours (1 on each side) if freezing or cook right away! The bigger the pot the better. This round took 9 minutes to be absolutely perfect! It was super yummy and made enough for EIGHT servings! Not bad when the cost of the WHOLE BATCH was $12, including sauce. Yummy, cost-effective and somewhat healthy with the extra lean natural beef and (evil but delicious) white flour. I SUPPOSE it'd be better for you with whole wheat pasta, but I suspect the dough would be a little trickier to get sealed. Slightly more time consuming than lasagna but it was good to mix it up a bit! That sounds delish! 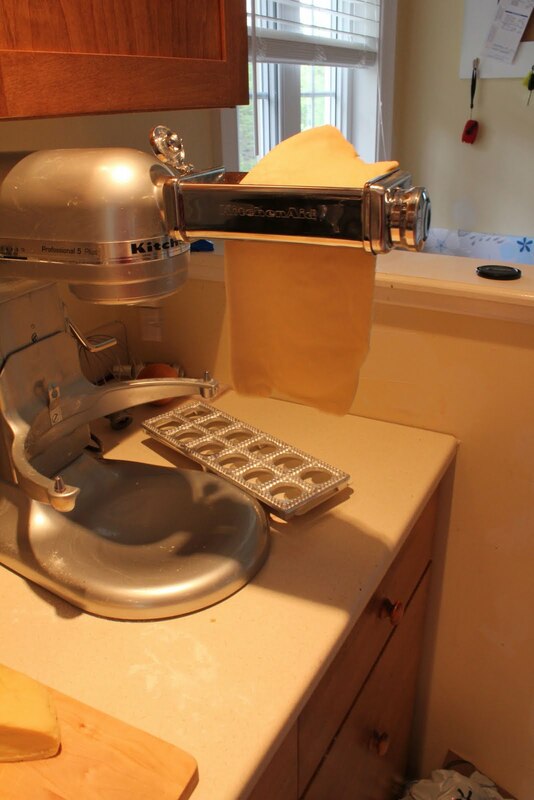 I need to get a pasta roller. Please, please have lots of these at the ready when I come over. I can't stop thinking about them. done and done! I already have another recipe I'd like to try! And Heather, you TOTALLY should. Fresh pasta rules!